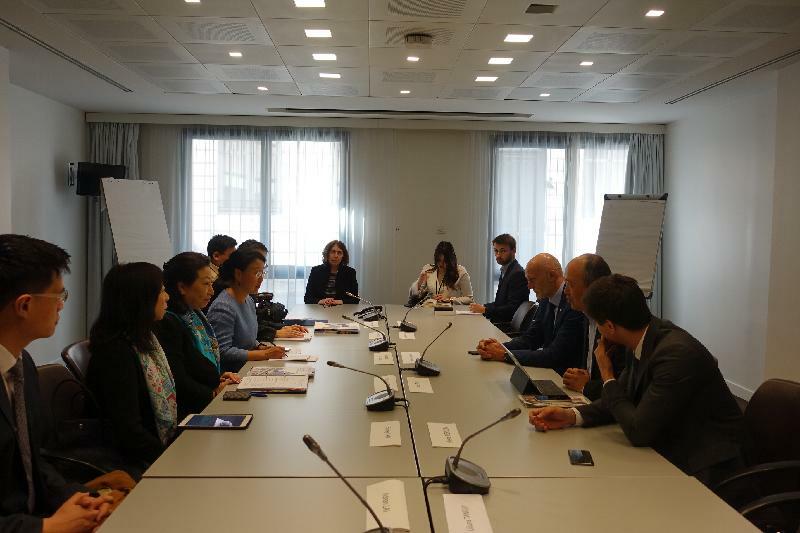 The Secretary for Justice, Ms Teresa Cheng, SC, today (April 12, Paris time) continued her itinerary in Paris, France and also visited Luxembourg to promote Hong Kong as a deal-making and dispute resolution services centre. 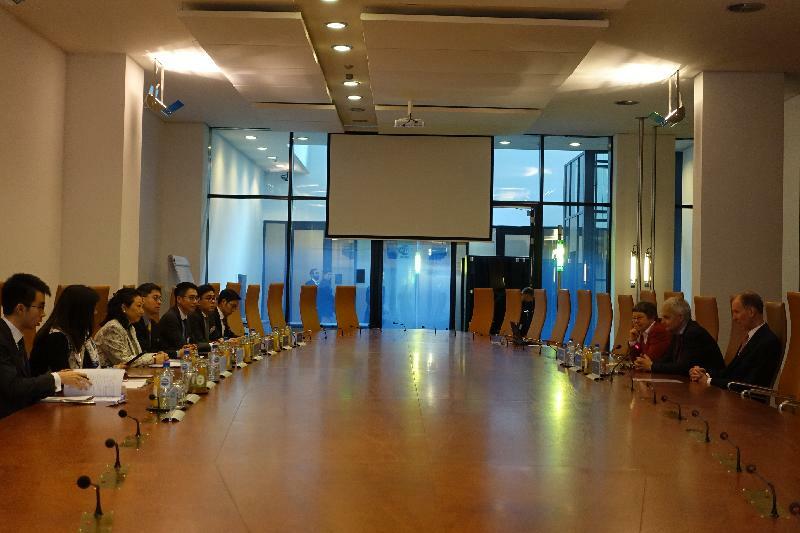 She also met with leading figures in various sectors to explore opportunities of collaboration on the legal side. 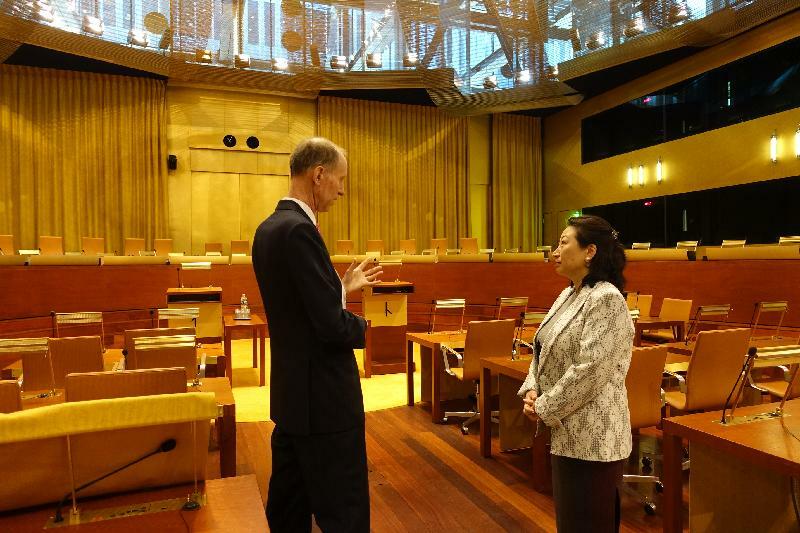 Ms Cheng departed Paris for Luxembourg to visit the European Union Court of Justice in the morning, during which she met with Judge Christopher Vajda, Judge Bay Larsen and Advocate General Eleanor Sharpston. She said that the principle of "one country, two systems", the rule of law and the independence of the Judiciary have been upheld under the Basic Law since Hong Kong's return to the Motherland. 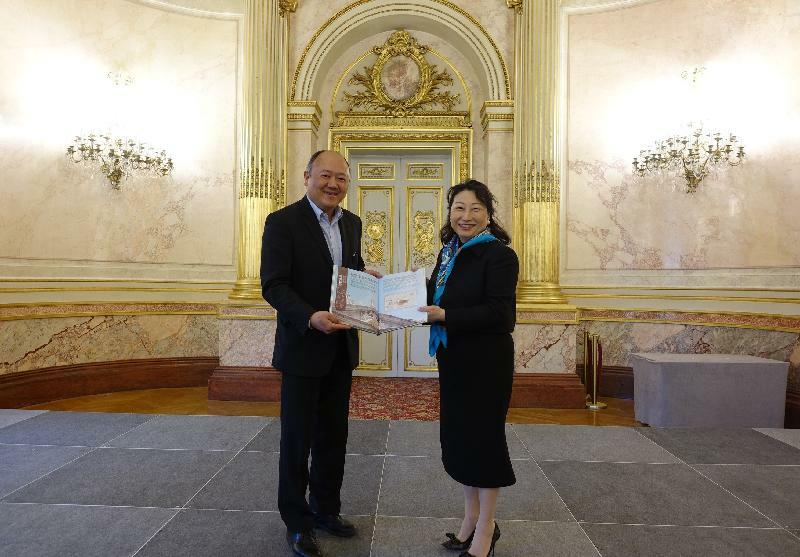 Ms Cheng will then return to Paris to pay a courtesy call on the Chinese Ambassador to France, Mr Zhai Jun, in the evening. She will also attend the dinner hosted by the ambassador. 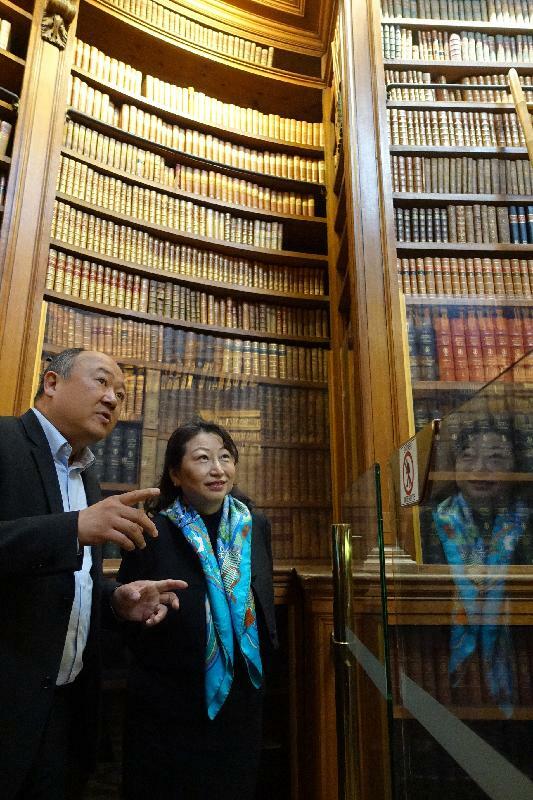 Upon her arrival in Paris yesterday morning (April 11, Paris time), Ms Cheng met with members of National Assembly of France to give them an introduction of the work of the Department of Justice and Hong Kong’s legal and dispute resolution services. 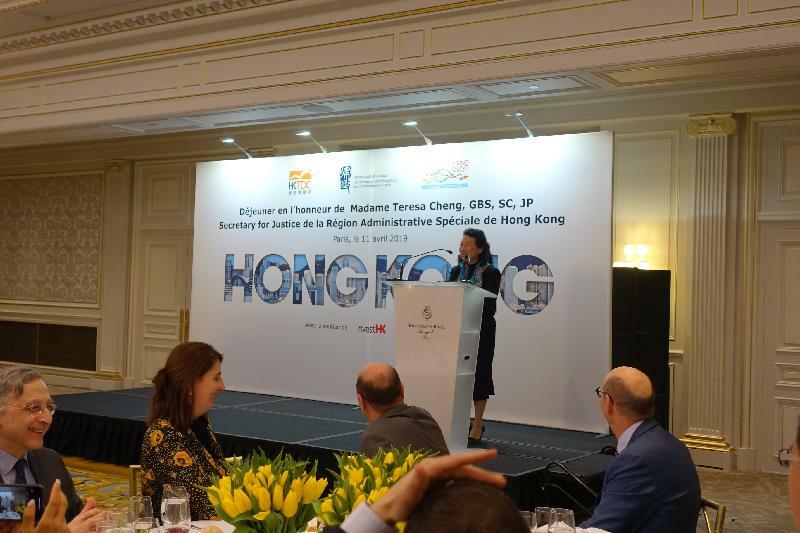 Ms Cheng also attended a business luncheon organised by the Hong Kong Trade Development Council in which she delivered a speech on the safeguards and opportunities offered by Hong Kong legal services in the Belt and Road Region and the Greater Bay Area. 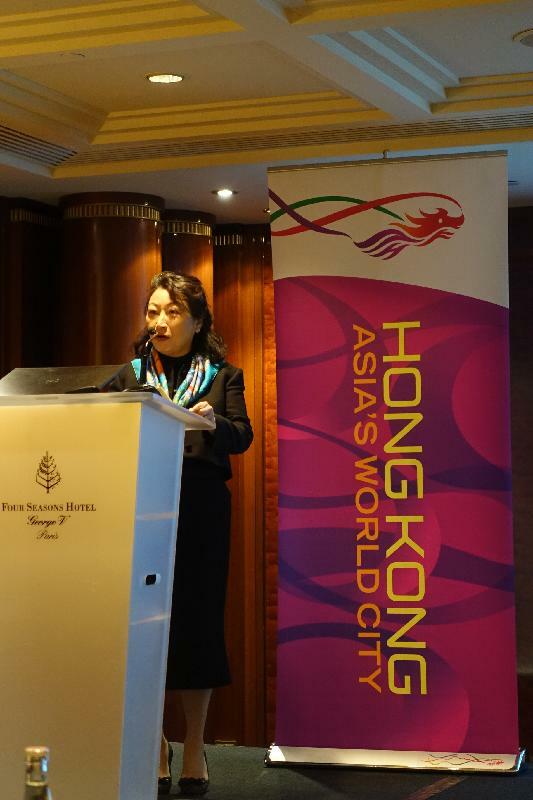 She outlined the significance brought by the two development plans and highlighted the features of "one country, two systems" as well as Hong Kong's laws in relation to deal-making and dispute resolution services. In the afternoon, Ms Cheng attended a conference, co-organised by the Department of Justice and Hong Kong International Arbitration Centre, on the promotion of Hong Kong's roles as deal maker and dispute resolver. 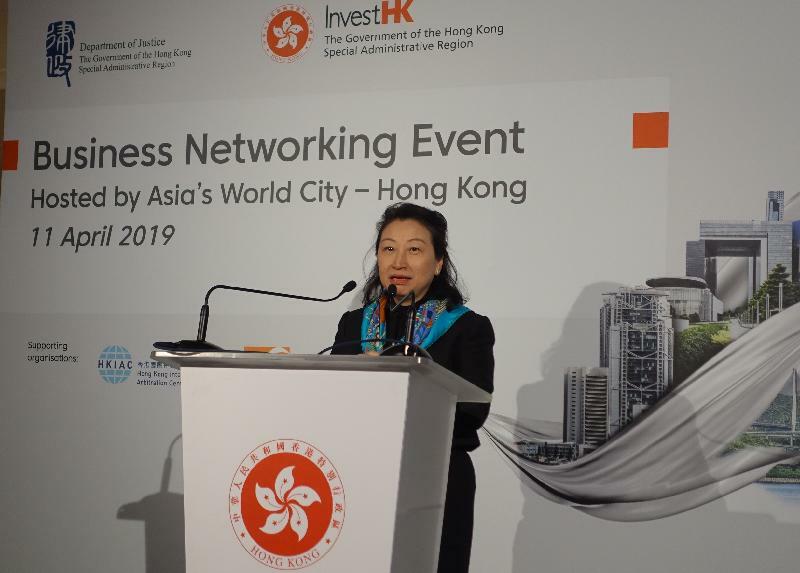 Speaking at the conference, she stressed that Hong Kong has always been a strategic gateway for foreign businesses to tap in the Mainland Chinese market. On the other hand, Hong Kong is the springboard for Mainland companies, including the Chinese State-owned entities, to "go global". Hong Kong has rich experience in deal-making and dispute resolution for China-related businesses and it is the Hong Kong Government's long standing policy to support and strengthen our position as a leading hub for deal making and dispute resolution. Ms Cheng was glad to learn that the panel of experts in the conference acknowledged that the Arrangement Concerning Mutual Assistance in Court-ordered Interim Measures in Aid of Arbitral Proceedings by the Courts of the Mainland and of the Hong Kong Special Administrative Region signed on April 2 has strengthened Hong Kong as a hub of legal and dispute resolution services centre. 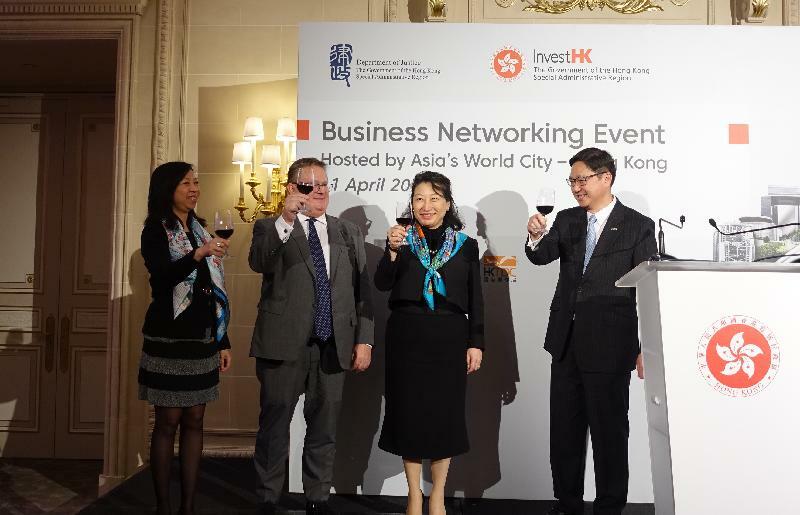 Following the conference, Ms Cheng joined a cocktail reception hosted by the Invest Hong Kong to meet with the legal and business sectors in Paris. 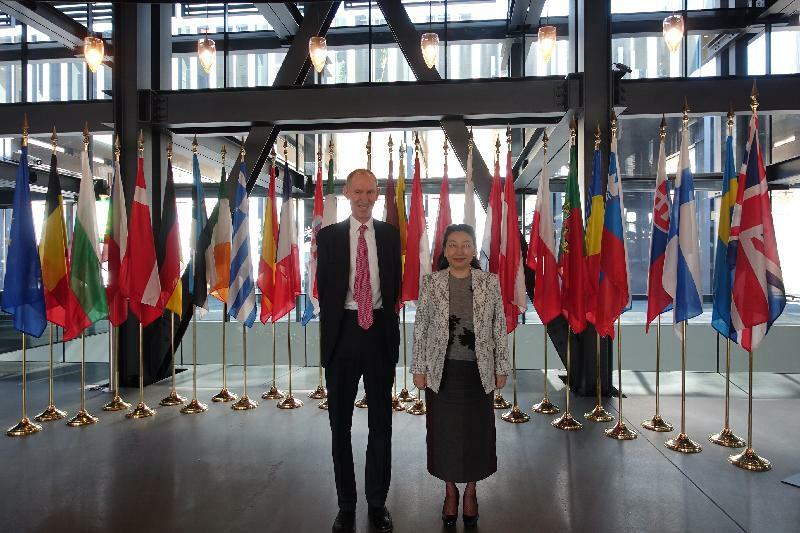 Ms Cheng will continue her visit in Paris in the next two days and depart for The Hague in the afternoon on April 15 (Paris time).